* It's called "Generation Ship", sounds like a demented outtake from ELO's Time. Maybe I'll just live-tweet my first listen to the album. * Next up is "Tarantula", a rollicking 2:16 tune about being afraid of them. It's so catchy I almost want to find a tarantula to sing it to. 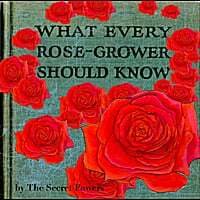 * "What Every Rose Grower Should Know", the title track, follows. With most bands this would be a metaphor. Not with these guys. * Track #4 is "Candy". Straight-up power pop, melodic if unremarkable. Still might be the best song on a lot of other bands' albums. * Next is "The Desert". I knew these Montana boys had a quasi-Morricone Western in them, complete with Jew's harp and portentous whistling. * "Crocodile" follows. Unlike "Tarantula", this is not a literal title. Instead, it's a pleasing mid-tempo love song. * Next track: "I'll Be Home". Solid, if unspectacular, followed by "It Should Have Been Me", a classic SP-sounding track w/fun piano backing. * "Queen of Bizarre" not as bizarre as its title or some of their other stuff, but another quality tune. * "In The Way" a decent track, "Blue Thing" is classic Schmed, and closer "My Idea" returns to the ELO motif a la Side 3 of Out of the Blue. * All in all, sounds like a top 10 contender (albeit a bit front-loaded). Thanks for putting up with my first ever live-tweet album review. I have a bunch of new releases I want to spread the word about but don't have the time or motivation to write about them at length, so I'll just briefly summarize and provide the pertinent links. San Franciscan Scott Gagner is back, and if the name doesn't ring a bell it might be because he's known to readers of this page as Cartographer, who released an excellent EP right about three years ago. With other acts using the Cartographer moniker, Gagner decide to go with his own name on the full-length and it's a disc anyone would be proud to put their name on. With more room to breathe, Gagner expands his sound on Rhapsody in Blonde to encompass psychedelia, folk/rock and Americana in addition to power pop. However, it's power pop that grabs you out of the gate here with "I Hate to Say", an effervescent number that adds a bit of that famous Motown bassline into the mix. The quality jangle-pop of "Speak & Spell" follows, and "Laura No. 1" recalls prime Marshall Crenshaw. Elsewhere, "Ride" and "Take Two" are fine rockers with a 70s sheen. As alluded to, Gagner isn't afraid to change gears. The spare "Right Before My Eyes" is a gorgeous acoustic number, and "Love You More" is almost in Roy Orbison territory with its pedal steel and emotional falsetto chorus. "Houdini" manages the trick of bringing the Pernice Brothers to mind, and "Laura No. 2" is haunting dream-pop. "Golden Mean" is 7 minutes of psychedelia that serves well as an album closer, but Gagner decides to add a coda, a hushed acoustic cover of Guns'n'Roses' "Sweet Child O'Mine" that shows Axl Rose for the folkie he may be at heart. 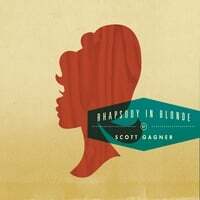 Rhapsody in Blonde is the work of a real talent and although it's extremely early, Gagner is the leader in the clubhouse for top album of 2011. 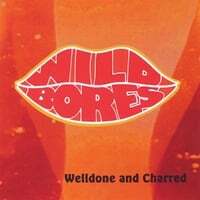 Wild Bores-Welldone and Charred. John Whildin continues to maintain an almost Robert Pollard-like level of prolificacy with his third full-lenghth (on top of an EP) in approximately three years as Wild Bores. 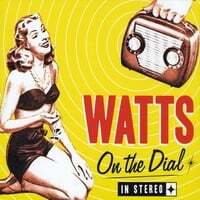 It's more of the fine power pop we've come to love on the previous releases, with maybe a bit more of a rock edge. In fact, the Pollard comparison applies to the music as well as "Expect Me Now" has a Guided by Voices feel to it, while "Biology" has hooks galore to go with its start/stop guitar riffage. Other standouts include the 80s-inspired "Forward is Backwards", the bright pop of "Freake" and the Matthew Sweet-like "All Fall Down". Never a Bore, Whildin has proved he's good for 10-12 fine tracks a year. Marc Danzeisen-Released. 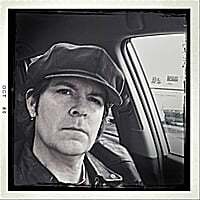 LA's Marc Danzeisen has been an accomplish studio drummer for a couple of decades now, and has been at the fringes of the power pop scene in the band Powerslide and as a solo act with 2004's Absorbent. He's back now with Released, a late entry onto my 2010 top 100 list which deserves more than a mere year-end listing. Danzeisen is reminiscent most of Rob Bonfiglio as he brings a "professional" power pop sound to the proceedings. "No Me Without You" has the sheen of a classic power ballad, "See Yourself" recalls Cliff Hillis-era Ike, and "Love Till it Hurts" boasts mood and atmosphere in addition to melody. And "'68 Chevelle" is just plain fun, a rework of a Powerslide tune that captures the near-universal male lament of why one's woman can't be as reliable as his car. A pleasant surprise, and Absorbent is worth a listen as well.